Hollyn’s latest releases reveal tension and truth in a vulnerable, authentic, and raw way. Everything and more/isaac & you won’t/horizon expose two sides of the same story. While dissonant, they go together beautifully and were made to coexist. The new music accomplishes that by showcasing that no emotions are wrong or bad; they are simply pointing to a greater truth, revealing the very nature of who God is. Hollyn’s soulful, pop-inspired anthems cross musical borders. 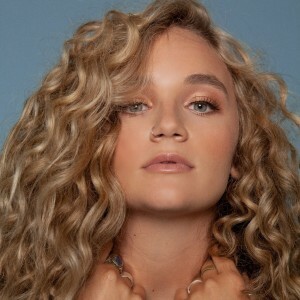 After debuting with the dynamic and fiery full-length album One-Way Conversations, Hollyn has had incredible momentum. With features on tracks from Capitol Kings, Phil Wickham, PEABOD, Chris Mcclarney, Steven Malcolm and more, the 21 year-old performer and songwriter has no intention of slowing down. Off stage, Hollyn is a travel junkie, water sports fanatic and emerging fashion icon. Dream days include spending time with her people, flying to new places, boating with family, cooking with friends and thrifting trends.